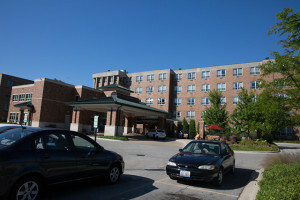 Generations at Regency is conveniently located on Milwaukee Avenue between Devon Avenue and Touhy Avenue in Niles, Illinois. Plenty of free parking is available on-site. Exit at Nagle and proceed north to Milwaukee Avenue. Turn left onto Milwaukee Avenue and proceed 1/2 mile to Generations at Regency. Exit Touhy Avenue West. Proceed west 3 miles to Milwaukee Avenue. Turn left and proceed 1/2 mile to Generations at Regency. Take the Pace Bus #270 to the convenient stop on Milwaukee Avenue just steps away from our doors.